-I’m allergic to Leslie Grossman. I realize her character Coco St. Pierre Vanderbilt is supposed to be bossy, horrid, entitled and a miserable excuse for a human being, but watching Grossman play this out seems like a rehash of last season’s Meadow Wilton, which seemed like a rehash of Popular‘s Mary Cherry. This show is filled with acting royalty in Bates, Paulson, Peters and Lange, and placing Grossman in such company reveals her to be the one-trick pony that she is. Sorry, not sorry. -Brock is alive and doing…not so well, but it makes sense that Billy Eichner would have more to do ’round these parts. He finds the Outpost and sneaks himself in—cancer, infections, balding head and all—and winds up stabbing Coco in the head with a knife. Hooray! Brock is a hero of the people. -There is a robot among our Outpost crew and that robot was revealed last week to be Big Boo Bates. But unbeknownst to even Ms. Venable, Big Boo was programmed and is now controlled by the increasingly powerful and sly Michael Langdon, who modeled the robot after the only woman who ever really loved him as a boy. This seems to be priming us for the return of Jessica Lange’s Constance Langdon. 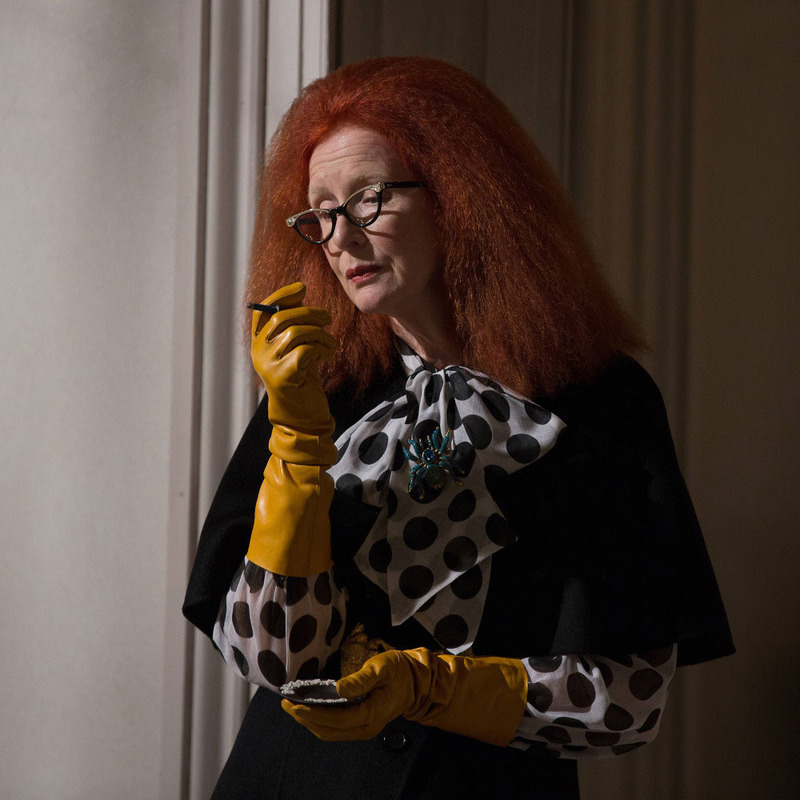 (I think I speak for many devout AHS fans when I say that I cannot possibly be more here for that.) Though a robot story doesn’t quite seem to jive, I’m willing to ride shotgun on this because Bates is playing it off so well. -The episode hints not so subtly to the fact that Mallory, Coco’s assistant, is a witch. She picks up some seriously incendiary powers and mentions to Langdon during her interview that she feels like someone inside her is trying to get out. Maybe the show will throw a curveball and transform her into some other sort of malevolent being, but I think it’s safe to say for now that we can check the “witch” box on this one. -Venable and Big Boo Bates poison everyone with snake venom only to be bested by Langdon because he’s the SPAWN OF SATAN. You can’t take on the spawn of Satan! Sure, they didn’t know the Antichrist was crashing their party, but this struggle for power has come to a close. I’d go out on a limb and say that we’ve seen the last of Venable, given we only have seven episodes left and two more characters for Paulson to cycle through. Does this set the stage for a showdown between the (mostly) benevolent witches and the spawn of Satan? Langdon certainly needs to be knocked down a few pegs. 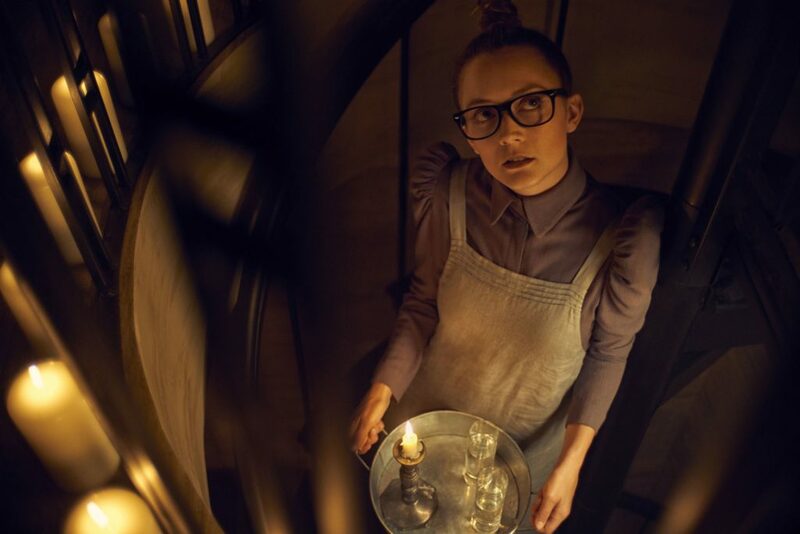 While it doesn’t take much to deem the recently revived three as unknowing witches, Vanity Fair’s Laura Bradley has an interesting theory: that fellow witches Zoe, Queenie and Misty are hidden deep inside Mallory, Coco and Dinah, and that the Supreme will bring forth the coven’s sisters in these new vessels. It’s an interesting theory, but one I’m not sure I can subscribe to yet. Though in AHS, anything is possible. The tension is building, the walls are closing in. Once the witches make their presence known to Langdon, this Apocalypse is gonna be LIT.